Neostrata’s Exuviance range forms the foundation for cosmetic treatments offered at the Specialist Skin Clinic. Such as anti ageing and hydrating facials, deep cleansing for acne prone skin, peel procedures, illuminating facial treatment for hyperpigmented skin, detoxifying body treatments and rejuvenation and relaxation treatments for body, hands and feet. A relaxing facial therapy for customers of all skin types. The Facial will cleanse, refresh, exfoliate, detoxify, smooth, hydrate and protect the skin, as well as provide antioxidant benefits. For dry dehydrated skin. Includes a moisturising cleansing massage, and non alcohol toning treatment to prep skin for an intense moisture serum and cream. This provides intense hydration to nourish the skin, leaving the skin soft, supple and restored. Deep cleansing for acne prone skin. The skin is gently exfoliated, purified, massaged and moisturised, leaving it feeling clean, smooth, soothed and supple. Skin is refreshed and brightened. This is a comprehensive anti ageing skin treatment, using a powerful regimen of multitasking formulas that target all the signs of skin ageing. Therapy for oily, acne prone blemished skin. Revitalise with deep cleansing glycolic acid peel, to remove impurities for a more radiant, clean complexion. This is for dull skin and clogged pores. 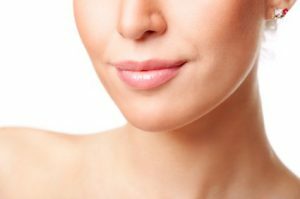 The peel procedure will make the skin feel tighter and more radiant. This is the ultimate indulgence for photodamaged ageing skin. A peel is performed with a peel booster plus a glycolic acid peel, to impart a soft, bright, hydrated and youthful glow. This is for hyperpigmented skin. The skin is exfoliated with a gentle scrub and tonic, followed by a revitalising clarifying peel. Skin is soothed, and treatment is finished with a brightening complex and intensive moisturisers. For stressed and dull skin. This is invigorating, yet relaxing, and is a cleansing treatment for the chest and /or back. The skin is exfoiated, purified, massaged and moisturised, leaving it refreshed, smooth and supple. The body is relaxed, and the skin is refreshed.